It wasn’t the first time I’d canceled a meeting. I knew he was having some business challenges, but several other people needed my help that day. So I canceled. I sent an email apology, along with some available dates on my calendar for us to reschedule. I didn’t hear back right away, but figured we’d get back in touch soon. It happens all the time. Six days later I got a phone call from Anthony’s wife. He was dead. The circumstances were cloudy, and she gave little detail in our short conversation. Subsequent reports suggested it was a suicide. Anthony was my age, with two kids the exact same ages as my own. He was my friend. I went to the funeral, a jumbled mess of anger, disbelief, and guilt. Especially guilt. I struggled to express my condolences to Anthony’s wife and kids. I was numb. People approached me to make small talk, but I didn’t respond. I couldn’t form the words. I knew his death was my fault. I could have said something. I could have done something. A friend repeatedly sought me out and wanted to talk. I don’t think he understood how much I wanted to be alone. There was nowhere to hide from him. The people, the flowers, the coffin itself, all conspired to block my retreat. As I bolted from the room, he followed. When I walked outside, he did the same. Finally, I’d had enough. My anger, guilt and frustration were ready to boil over. I stood my ground on the sidewalk. I cut him off, “Look, I don’t want to talk right now. Anthony needed my help, and I cancelled my meeting with him. I might have prevented this. I should have been there for him.” There was a lump in my throat and a hammering in my chest. I wanted to run. This was my pain. My misery. My grief. I didn’t want to share it or explain it. We began to argue. I wasn’t ready to give up my guilt and my blame. He wasn’t either. A car horn sounded in the street and we were jarred into silence. I think we both realized how misplaced our emotions were. Not at the funeral. Not now. We didn’t say another word, but hugged and then went into the service. We met for cocktails several weeks later. During the course of our discussion, we realized that it wasn’t a competition. There was no honor in trying to shoulder more of the blame for our friend’s death. Our grief was private, but our support was mutual. And helpful. We mourned a friend. We celebrated a life. And our relationship is the richer for it. 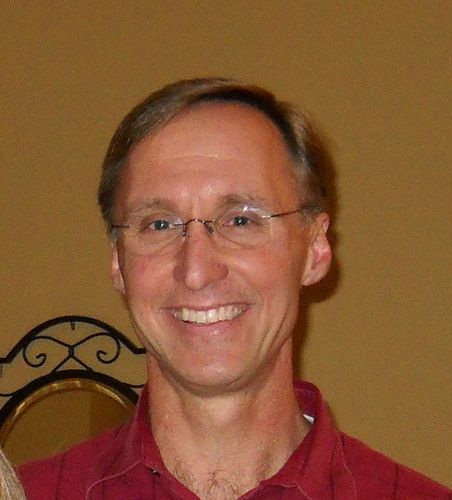 Karl Sprague is a writer and executive coach. His blog, The Short Distance, can be found at Karl Sprague. He has completed a manuscript for a thriller entitled Castro’s Shadow. You can follow him on Twitter @karlsprague. Grief certainly has its own path and you have brought me right into this very delicate and painful scene of dealing with a friend's suicide in an honest and genuine way. You really show how shared grief among friends can be a source of consolation. Thank you for sharing the valuable lessons learned through this tragic event. And thank you Viki for featuring Karl. Thanks, Kathy. With all the raw emotion, pain of loss, and irrational thoughts surrounding the loss of a friend, it is reassuring that lessons can be learned and existing relationships strengthened. Thanks to Viki for getting us to pause and consider... and thank you for adding your thoughts, insights and support!